« US war for Venezuela oil on the horizon? Published by jalbertini on January 30th, 2019 in Climate Change, Hawaii Independence, Military, Pohakuloa, Public Events, Sacred Mauna Kea, Social Justice, Take Action!, Vigil leaflets. Time for Kapu Aloha (non-violence) for Everyone! Protectors, Police, Mayor, Prosecutor, County Council, State Legislators, Governor, Attorney General, UH President and Board of Regents, BLNR, DOCARE, Congressional Delegation, Military, Business people, EVERYONE! This is an appeal to all people, especially to county, state, federal and international officials and business interests in China, Japan, India, Canada and the US supporting the multi-billion dollar 18 story Thirty Meter Telescope (TMT) on Hawaii’s most sacred temple – Mauna Kea. Remember, we are living in an illegally occupied nation – The Hawaiian Kingdom. The legitimate government of Queen Lili’uokalani was illegally overthrown in 1893 by greedy business interests with the assistance of the US Marines. The Hawaiian Kingdom remains illegally occupied today. The State of Hawaii land leases involving Mauna Kea are illegal. Do What is Right & Just! No More Desecration! 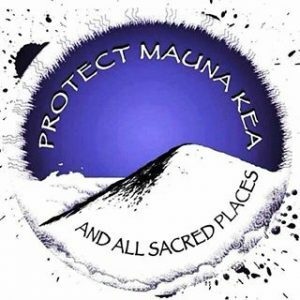 To Police – County, State, Federal, and private security guards: Call in sick or outright refuse if ordered to Mauna Kea to arrest Protectors of Sacred Mauna Kea against further desecration by TMT construction. Hawaii and the world are in the midst of a major clash of values that will determine the future of life on earth. 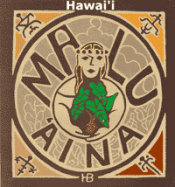 To a great extent it boils down to big business interests for profit vs native values caring for the earth – Malama Honua.